Dear Chris Pratt: You're A Big Fat Movie Star! Now What? Congratulations! With the unbridled success (both critically and financially) of Guardians of the Galaxy you are officially a big fat movie star. We--your hordes of fans, both new and old--are positively thrilled for you. For various reasons, we think you deserve all this success, fandom and acclaim. Some of us have become recent converts, won over by Star-Lord's pelvic sorcery. 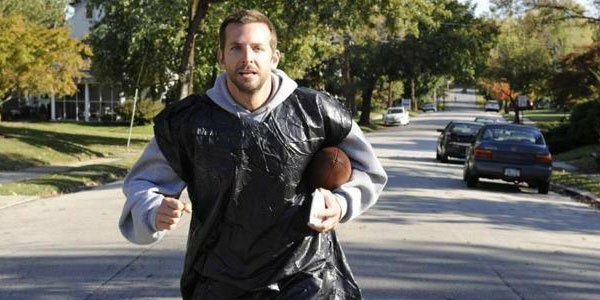 Some have been cradling crushes thanks to the dopey goodness you packed into Parks and Recreation's Andy Dwyer. And some have been watching you since the way back days of Everwood. Wherever our fandom first sprang from, the point is, we may not know you. But we like you and want good things for you. So for you we have compiled a short list of advice on how to best maneuver your new level of fame and Hollywood cachet, complete with examples for better and worse. As an actor, you've been winning the notice of major directors and making some stellar choices, appearing in Kathryn Bigelow's Zero Dark Thirty, Spike Jonze's Her, and Bennett Miller's Moneyball. But now's the time to start producing vehicles for yourself to better shape your career and its trajectory. He did the heartthrob thing in a pair of Step Up movies. Then he got critical attention with a few dramas, including Kimberly Peirce's Stop-Loss. By 2010, he was producing, as you well know as you co-starred in his 2011 pic 10 Years. Then 2012 became the year of Channing Tatum, in part because of the one-two punch that was 21 Jump Street and Magic Mike, both hit movies he had a hand in producing. Both movies that helped make him a household name. Between Guardians of the Galaxy and the upcoming Jurassic World, you got the household name thing pretty well handled. But to establish staying power, you'll want the kind of brand shaping ability being an actor/producer carries. We know, you've been playing the plucky friend for a while now (Delivery Man, The Five-Year Engagement). And with Guardians of the Galaxy, you've proven to be an out-of-this-world leading man. But don't get so caught up in the glory of the spotlight that you forget how rich those roles can be. The Welsh actor became an icon and god to fanboys worldwide through The Dark Knight trilogy. But he didn't let that go to his head. 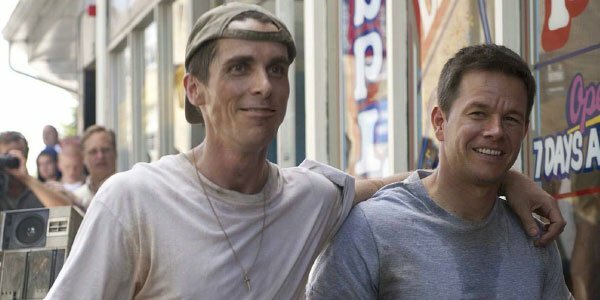 In 2010, he took a smaller role, playing second banana to Mark Wahlberg in David O. Russell's The Fighter. Not only did he deliver a hell of a performance, he won an Academy Award for this supporting role. From here, you're sure to be offered a flood of exciting projects. Keep an eye out for that one that might not be the big role, but could be a great one. Most of us have become fans because we love how you embrace your inner goofball, be it through Star-Lord's two-stepping his way through an Indiana Jones style heist, French-braiding a grinning intern's hair, or posting self-mocking tweets. Never change. Similarly, Will Smith long ago won our hearts by playing the daffy Fresh Prince of Bel-Air, then spinning his contagious enthusiasm and radiant confidence into Independence Day and Men in Black. 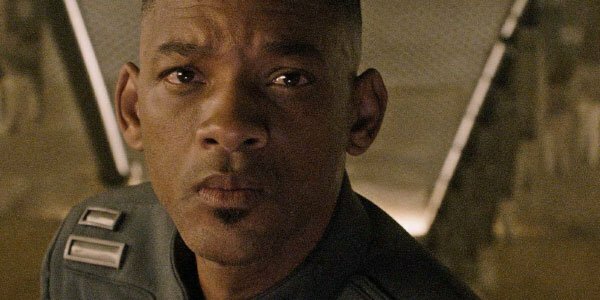 But over the years, Smith has veered away from what we love best about him, churning out critical duds like After Earth and Seven Pounds. This is not to say you can't do drama again. Just don't follow Smith's bizarre choice to hide his charisma under an unrelentingly sneering demeanor. That's not range. That's just a bummer. Between the Marvel Movie universe and the potential spawning of Jurassic World sequels, you'll be busy between physical training, production and press junkets for the next few years. But don't be afraid to steal a few weeks here or there to make something small, weird and potentially wonderful. You've already formed working relationships with compelling auteurs like Spike Jonze, Kathryn Bigelow and Colin Trevorrow. More will follow. Trust those who offer a risk worth taking. Cheers to you, Chris. We look forward to seeing much more of you.